RRB Group D Cut Off 2018: Railway Recruitment Board has released RRB Group D Cut Off 2018 after the declaration of Railway Group D exam result. Railway Group D Cut Off Score for the year 2018 in the CBT Examination will determine the candidate’s success in the final merit list. The cut-off marks for RRB Group D 2018 are the minimum marks that a candidate must secure in the Group D Examination. Railway Recruitment Board has declared the cut-off marks category-wise. The cut-off marks of RRB Group D depends on many factors. Railway Group D 2018 Cut Off Marks are decided by the Railway Recruitment Board on the basis of the applicant’s performance. This year, more than 1.8 Crore candidates are appearing the Group D CBT as the vacancies are huge. The Cut of Railway Group D can be affected on may terms. The cut-off may depend on the region but the variation may be quite small. The RRB Group D Cut off Marks can also be affected by the difficulty level of the Computer Based Test. 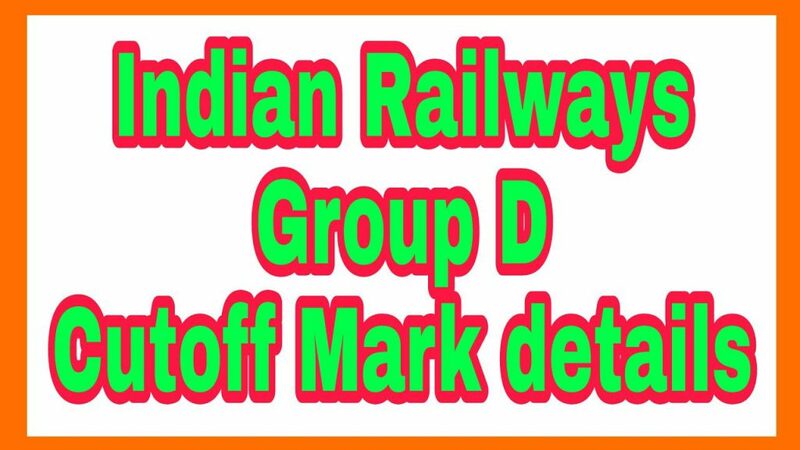 4th March 2019 Latest Update- RRB Group D Cut off has been released. Check links below. The RRB Group D Cutoff 2018 will be released online in the form of Merit List which will be available in PDF Format so that it can be easy for the candidates to download. Based on the Merit List of RRB Group D CBT, candidates will be selected 2 times of that of the community wise total vacancy of the posts notified against RRBs for the next selection procedure. In total, approximately 1.89 Lakh candidates are selected for the PET examination. The Merit List will be prepared on the basis of the cutoff marks that will be set by the respective RRB Region. Number of the candidates applying for Group D Posts. Category Cut-Off Set by Indian Railways Authority. The Minimum cut-off score set by RRB as per the Norms. Visit the Official Regional RRB Website of your region. Click on the link that states RRB Group D Cut-off 2018. Submit the required credentials that are asked. The RRB Group D Scorecard will be displayed on the screen. The Cut-Off marks will also be displayed on the screen. The RRB will release the cut-off marks along with the declaration of the results. The cut-Off marks will be available online. RRB Group D Result 2018 will be announced separately for each RRB Region. The Result of Railway Loco Pilot will be published online. The Results of RRB Group D will be released separately for each stage. Once the candidate clears all the stages of RRB Group D Selection Procedure, they will be called for a Medical Examination.